Ami Inoue was born in Japan. 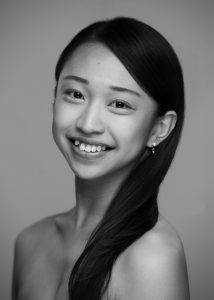 She began studying ballet at the age of 8 at the Columbus Dance Arts Academy in the USA. After returning to Japan she studied at the Classical Ballet Academy S.O.U. From 2016-2018, she studied at Escola Artística de Dança do Conservatório National in Portugal. Ami most recently was awarded 2nd place at the TANZOLYMP 2018. Ami joined TBII in 2018.